This is the time of year when most dogwood is at its’ showiest. 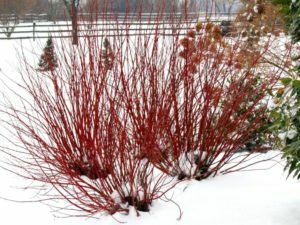 Make your winter yard colorful with dogwood. The Cardinal dogwood is a bright red. The Arctic Fire dogwood is a dark red. The Firedance is a brilliant red. Read about them under our Plant section for size and other characteristics. This entry was posted in fall, Uncategorized. Bookmark the permalink.